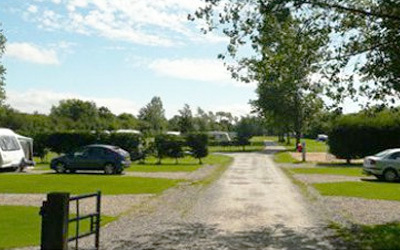 At Black Bull Caravan Park we have a mix of grass and hardstanding pitches, and most have electric hookup. 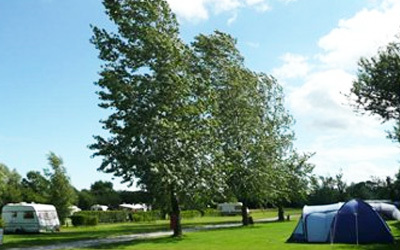 The site has 72 level pitches on an open field with some privacy and shelter, accommodating caravans, motor homes, tents and trailer tents. The pitches are a mix of grass and hardstanding pitches, and all have an electric hookup should you want it. There is no charge for awnings. Toilet/shower/washing up and laundry facilities. There are free hot showers which we pride ourselves on keeping as clean as we can (See our Customer Feedback) We are a dog friendly caravan park and dogs are welcome free of charge, please use the designated dog walk. Maximum Tent Size – 7m x 5m. We do just ask for a £25 deposit over the phone to secure your booking. Available for Touring Pitch guests are: Heated washroom facilities, toilets & free hot showers (Baby Baths & Changing available) Dish washing area Washing machines, dryers & ironing. Gas bottles are available and camping essentials are available for sale in our small shop.